As a child I would have horrible visions of escalators eating me once I got to the bottom. Like Brodie in Mallrats I think everyone should have respect for an escalator. 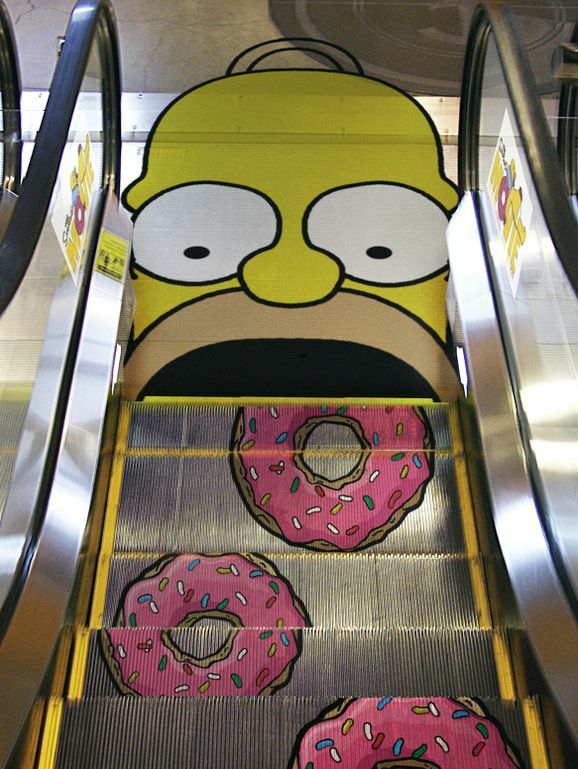 Thankfully it's just an image because I don't know what would happen if I ran into this escalator in real life. Would my vivid imagination run wild and take over with the idea of Homer Simpson eating me at the bottom of the ride or would my love of the Simpsons take over? In either event I would probably spend the day playing on the escalator or at least until the mall bounces me.